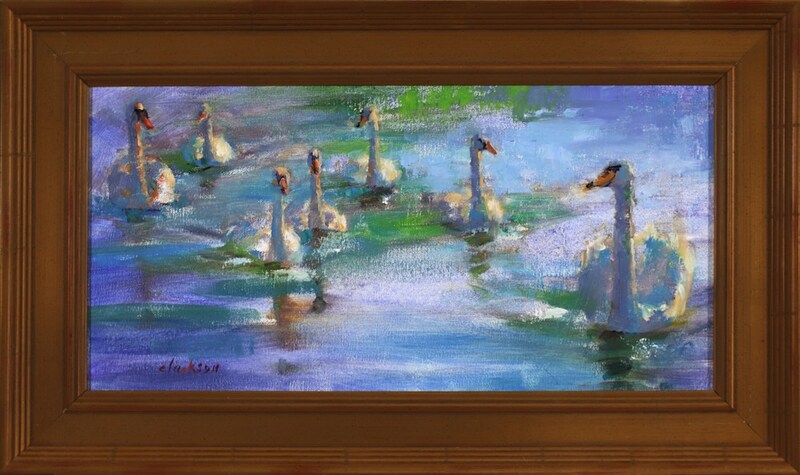 Oil on Canvas Panel, Framed size 20" x 12"
A family of mute swans has made Manitou Beach, Michigan its home for as long as I can remember. Every year, the female lays her eggs on an undeveloped island at the north end of Devil's Lake. She and her mate fiercely protect their young through the summer as they transform from gray cygnets to white swans. The family travels around the lake together early mornings and around twilight when the lake is peaceful. If you prefer to buy the 8" x 16" painting unframed, please contact me for a price. Every summer I look forward to seeing the family of swans swim past my dock on Devil's Lake in Michigan. The patriarch of the clan is usually out front, and he is always focused on protecting his family. 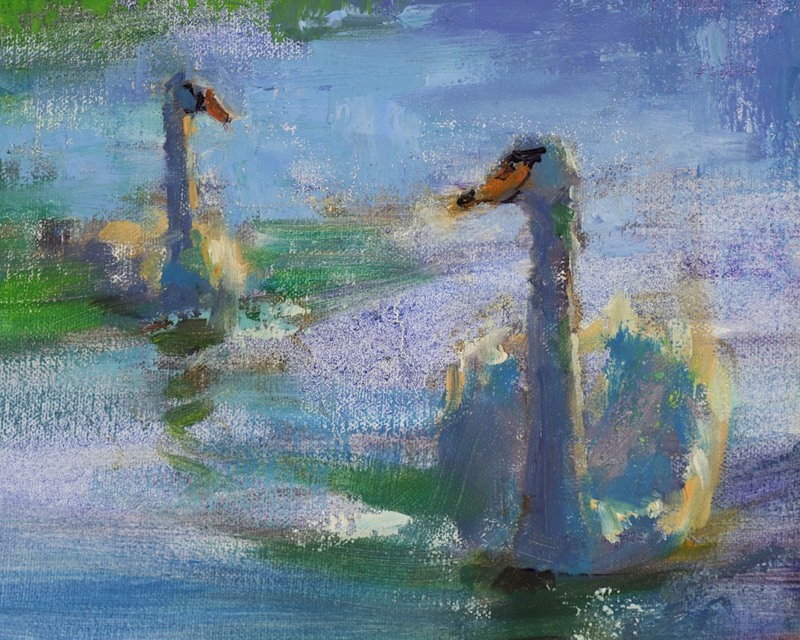 This composition is about depicting the light illuminating the swans at dusk when the sun is low.